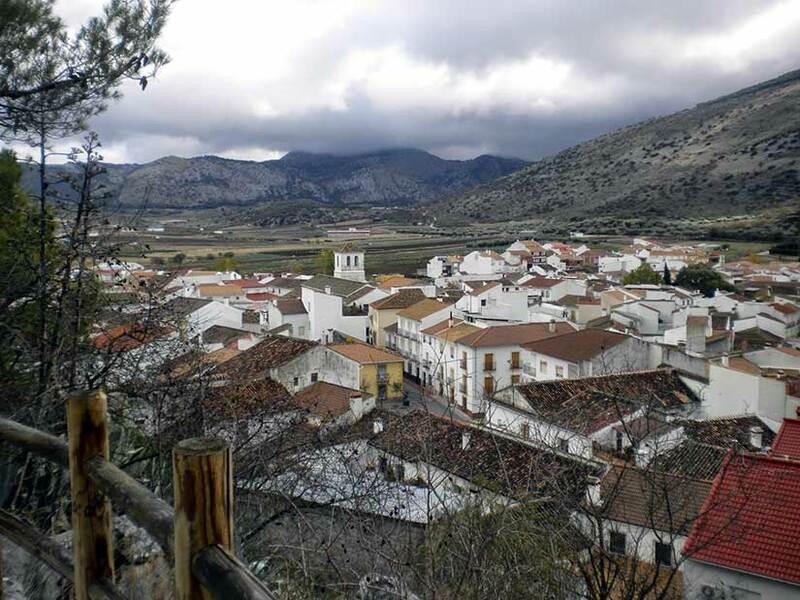 A village located in a fertile plain between mountains on the old road to Granada via Los Alhazores Pass. Its architecture and appearance, of Arabic origin, still retain curious picturesque details which are well worth viewing, such as the Old Alfarnate Inn (now a restaurant-museum), which was visited by illustrious figures such as Alfonso XIII as well as other more infamous characters such as Jose Maria Hinojosa “el Tempranillo” and Luis Candelas. Other buildings of interest are St. Anne’s Church and the Town Hall. Due to its proximity to Los Alazores Pass, a natural link between the provinces of Malaga and Granada, many different cultures have passed through this area, which was occupied in the Le Moustier era of the Mid Palaeolithic period (30,000 years B.C.) and has been the site of Neolithic discoveries. During Moslem times, both Alfarnate and Alfarnatejo were tiny villages devoted primarily to cereal production. Records tell us that in early April 1487, King Ferdinand led an army of 12,000 horsemen and 50,000 foot soldiers from Los Alazores pass through Alfarnate on his way to Velez-Malaga, which was captured on 27 April. By the 19th century, the characteristics of its municipal area, crossed by a section of the royal highway, and its proximity to Los Alazores Pass, had made Alfarnate an important location, as proven by the “Old Alfarnate Inn” (“Antigua Venta de Alfarnate”), which still stands today. Until comparatively recently, this was an obligatory stopover point on the road from the coast to the interior, coaches travelling to Granada habitually changing horses here. Witness to a whole era, Alfarnate Inn has played host to historic figures such as King Alfonso XIII, as well as others halfway between history and legend, like the popular highwaymen Luis Candelas and Jose Maria Hinojosa “El Tempranillo”.